Security experts share insights on which skills and experiences are most helpful to job hunters looking for their next gig. When your resume falls into the hands of a hiring manager, it only has a minute to convey the skills and experience you hope will prove you're qualified for the job. Is yours doing the trick? In cybersecurity, companies are looking for a wide range of qualifications, researchers found in the new "(ISC)² 2018 Cybersecurity Workforce Study." With the global workforce shortage approaching 3 million employees, companies are in need of a long list of infosec skills. Topping the list is security awareness, according to 58% of 1,452 experts polled. The same percentage is also looking for people who excel in risk assessment, analysis, and management. Security administration (53%), network monitoring (52%), incident investigation and response (52%), intrusion detection (51%), cloud security (51%), and security engineering (51%) are in demand. "It's not a field like carpentry that we lump everyone in, where there's a basic skillset," says John McCumber, director of cybersecurity advocacy at (ISC)². "Cybersecurity encompasses governance, policy, identity and access management, and a variety of related [skill sets]." However, organizations often lack the clarity they need to make informed hiring decisions, he continues. There's a lot of confusion in the industry about what people need to be effective in their roles and often a gap between job-description demands and legitimate security needs. "There's this disconnect between what [companies] put in a job description and what people respond with in their resumes," McCumber adds. For example, many of the cybersecurity challenges businesses face aren't tech problems and don't require tech expertise to solve. Of course, the skills you need depend on the job you're eyeing. Security analysts, for example, should prioritize technical skills and previous roles, while CISOs are better off highlighting their leadership experience and business know-how. 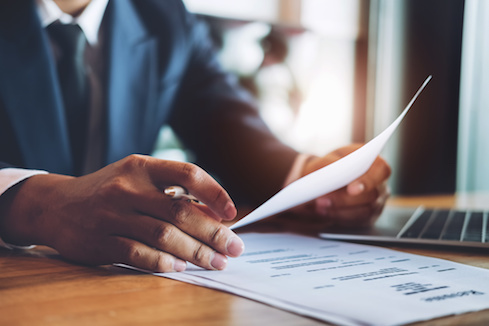 Here, several security experts share their insights on building resumes and which skills, traits, and experience are most helpful to job hunters looking for their next gig.